Fall equinox is upon us, which means inclement weather is in our future. The steady drizzle of rain and shorter days will be a part of our lives for the next few months. For the dog owners around town, that might mean fewer long walks or infrequent visits to the dog park. Seattle Refined previously shared our thoughts on some of the best outdoor dog parks in the Seattle-area, but what to do when the going gets wet and your pooch wants to get going? Thankfully, there are a few indoor dog parks around town to take your dog for some much needed play time and socialization. Citydog! 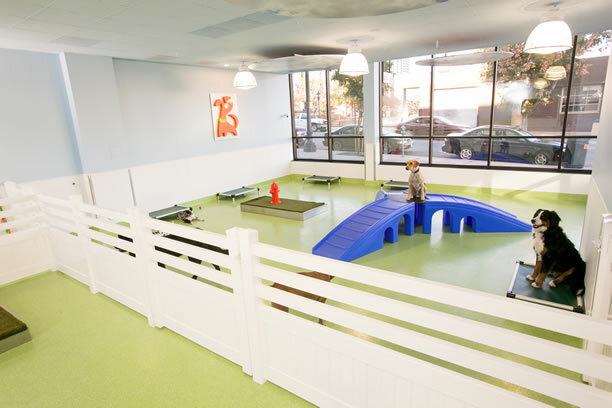 Club – With a few locations nationwide, Citydog! Club opened up in downtown Seattle at 9th & Olive last year. If you’ve driven by, you’ve probably noticed several office workers watching the dogs at play for some midday stress relief. I’ve taken our Bernese Mountain Dog to Citydog several times and she loves it. Monitored by the staff throughout the day, the dogs get to play in a few of Citydog’s rooms with other dogs of similar size. Open from 7am-9am, you can drop off your pup for doggy daycare or grooming services. Earlier this year, Citydog opened their second Seattle location in Ballard on Market Street.